If you are unaware of the talents of Ashleigh Flynn, it would be highly advisable to read on and spend a few minutes of your valuable time getting acquainted with her. 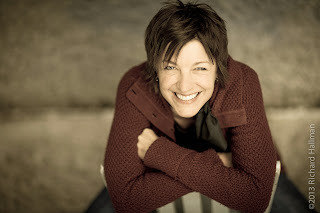 I went through the same experience when her new album A MILLION STARS appeared in the inbox and the challenge is not to be hooked into a sound which embraces all that is good within the evolving Americana genre. For the record, this is Ashleigh’s fourth studio release and is a well-balanced album which sparkles with inspiration in a diverse style that is conducive to the roots of American music. Ashleigh has used her bluegrass Kentucky background and blended in a touch of jazz, blues, soul and rock to produce an entertaining and captivating bunch of songs true to the core of this often confusing genre to outsiders. With the help of The Decemberist’s instrumentalist Chris Funk as producer and a host of key contributors from the creative north-west Pacific hub of Portland, Oregon, Ashleigh has created a record that will cement her standing among eminent musicians and enhance her stalwart status which has blossomed from appearances at key festivals such as Bonnaroo. From the slow burning luscious opener ‘The Devil Called Your Name’ which succeeds in hitting the right spot with minimal exertion, right through to the classy catchy closer ‘Walk Awhile , the album is fully stocked with strong songs exemplified by their strength of substance. The experimentation of different sounds ranges from a traditional country gospel feel to ‘New Angel in Heaven’ to the brass-induced jazz connotation to ‘Prohibition Rose’. Echoes of fiddle add some grace to ‘Rainy Days’ while the ubiquitous steel flavours the gentle floater ‘Runnin’’ and the dreamy number ‘A Little low’. A live version with a dose of banjo brings ‘Prove it on Me’ to life while a soulful organ laced vibe is wrapped around the ironic preaching number ‘See That Light’. Hopefully now you are beginning to see how eclectic this release is designed to be without losing sight of the ideals of genuine Americana music. This 46 minute lesson in how to produce a perfect amalgam of American roots music reaches its peak with three stunning tracks that jostle for standout status. The narrative based title track ‘A Million Stars’ relives a tale when two 19th century outlaws challenged the gender convention of the day and shows the depth of the song writing. This makes an impressive claim for top spot as does the new wave rock feel to ‘The West Was Won’ but ultimately this accolade goes to the toe tapping mover ‘Dirty Hands and Dirty Feet’ where Ashleigh returns to her bluegrass roots to produce a storming track containing a memorable chorus and littered with iconic references to Tennessee and the Cumberland River. Ashleigh also enlisted the services of respected performer Todd Snider to help on the album which has been released on her own Home Perm Records label. 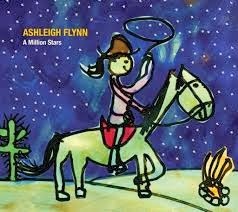 Together with all her help and collaborators, A MILLION STARS has turned into a fulfilling and entertaining release that has the potential to launch a new phase of Ashleigh’s career. If this has aroused your curiosity check out some of the songs on Sound Cloud and better still invest in the record soon after its early November UK release. A planned 2014 visit to our Isles will be another important milestone in spreading the word of Ashleigh Flynn as she will thoroughly deserve this wider recognition.